The Commonwealth Bank is one of our largest clients at RE. We refreshed the brand back in 2012 and have been working closely with them ever since. Along the way we’ve been invited to help out on some pretty fantastic jobs. Over the summer we’ve been working with our compadres, M&C Saatchi and the Sport & Entertainment team, on the CommBank Cricket Club. This is CommBank’s sponsorship not just of Cricket Australia and the Ashes-conquering Australian team, but of cricket across the country. 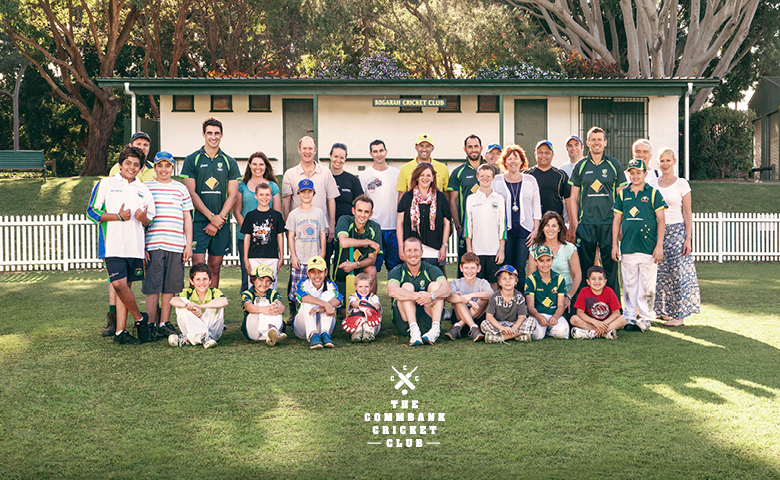 One of the great things about this program is its work with local community cricket clubs. The CommBank Cricket Club has had a hand in repairing facilities for clubs affected by natural disasters, funding diversity programs, assisting clubs in remote communities and delivering equipment to local clubs in need. It even saw members of the Australian Test team helping out with repairs to the Kogarah Cricket Club clubhouse.